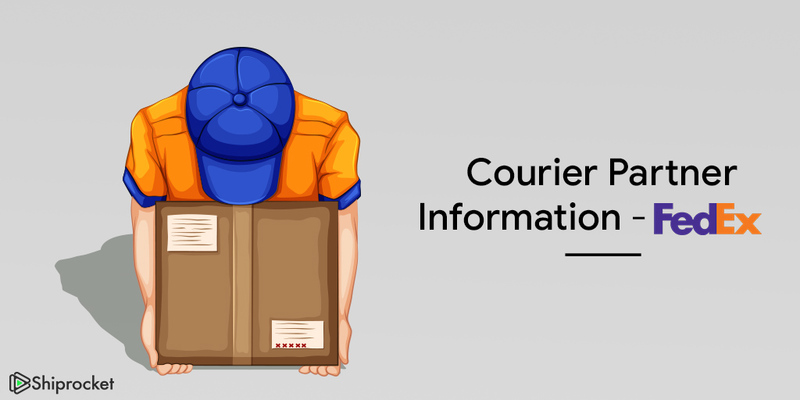 Since, ShipRocket lets you ship easily using the best courier companies, we have come up with this series of blogs where we will help you know more about the courier companies through which you are shipping your products. Federal Express (FedEx) is a global logistics company commencing its operations in 1971. This multi-national logistics company originated as a term paper written by the company’s founder Fredrick W. Smith during his school years. Little did he know that it would revolutionize the world and make “Absolutely Positively” as the tagline for FedEx shipping services, years later! The name ‘Federal Express’ was coined keeping the nationwide economic benefit in mind where ‘federal’ was the representation for the country’s Federal Reserve Bank which would offer Smith with his desired clientele. FedEx opened its doors to international shipping with Europe and Asia markets from 1984 onwards and since then it did not look back. FedEx shipping service has provided millions of individuals and businesses with optimum logistics solutions for their growth and development. It has resulted in the large scale of imports and exports carried out across the globe. Thanks to FedEx, they have brought the world closer into a tightly knit progressive community. The portfolio of FedEx shipping services and express delivery services has been nothing less than phenomenal, with its presence in almost all the major countries and continents of the world. It has emerged as one of the leading players of logistics providers on the world map. Let us look at the various services FedEx has under its belt. FedEx operates numerous varieties of shipping services by catering to both commercial and individual customers. In addition to offering overnight shipping, it provides express delivery and ground shipping services, medical fright handling, same day air delivery, international and domestic air shipping. There are various processing locations where FedEx has its shipments and freight sorted, handled and routed to the tagged destinations. There are unique barcodes assigned to each package, which is scanned through the entire process and this enables customers to conveniently track their shipment and know about its expected time of arrival. After you generate pickup on ShipRocket panel after choosing FedEx as your courier company, their representative comes to your pickup point to collect the shipments. After pickup, the package then routes to the local FedEx office, where it is handled and sorted, as per the chosen shipment method. Once the package arrives at the destination office, it is checked-in (stamped) and handed out to the delivery person. During the shipment process, the barcodes are scanned and tracked at each procedure. FedEx shipment services are easy, reliable and 100% secure for shipping personal or commercial freights. Their timely delivery and package tracking facility has made it even more popular in the global logistics market. At every FedEx center, workers and personnel ensure that your package is handled with optimal care. They diligently follow the printed instructions, (especially for fragile items) to deliver packages in top-condition. No wonder, millions of people prefer FedEx, as they feel confident about their product shipment in reliable hands. 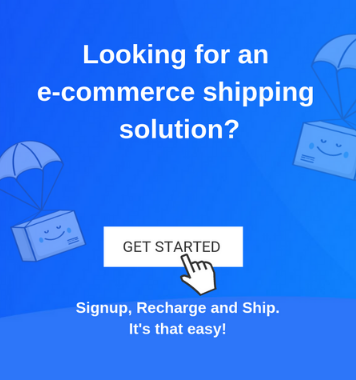 Have you used FedEx for shipping through ShipRocket? Tell us your feedback. We would love to know! We’re glad you liked it. Watch out this space for more useful content! What is the difference between FEDEX-SL, FEDEX-FR & Normal FEDEX Options?